Four professionals with a range of expertise in developing the thinking and working skills of managers, will share techniques on how to be a dynamic, responsive and engaging manager. These sessions will include insights and practical tools around professional empathy, communications, and process thinking, to support you in becoming an even better manager. Empathy is understanding and relating to others in a way that builds connections between people. In healthcare, even more than other fields, empathy is a key factor in individual, team and organizational effectiveness. With increased pressure from inside and outside of organizations and decreased resources, staff can be left feeling burdened by the stress and tension in the workplace. Learn how to employ empathy to build bridges and create meaningful partnerships with patients and colleagues. 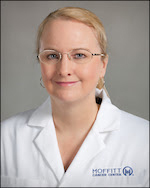 Dr. Sarah Hoffe is the Section Head of GI Radiation Oncology at Moffitt Cancer Center and joined their faculty in 2006. She is an Associate Member at Moffitt and Associate Professor in the University of South Florida Morsani College of Medicine’s Department of Oncologic Sciences. 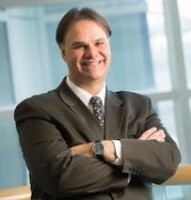 Dr. Hoffe is also interested in the integration of novel patient engagement technologies that improve the patient experience, such as piloting novel virtual reality tools. She is on the Editorial Board of Cancer Control Journal and is active at the USF Morsani College of Medicine where she is a coach for the SELECT program and the Leadership Competency Co-Director.